I’m Amar – Made in India and living in the U.K.
A London based Travel and Lifestyle blogger and have been doing this for just over a year. Travel is something that is hard to define, for some it’s work whilst for most of us the perfect way to unwind, relax and widen our horizon. 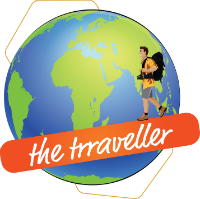 We are a family of 4 and most of my travels include them who I call my fellow travellers. I started this blog to share my experiences and love for travel / food and all things we enjoy as a family. I hope I can help you step out of your comfort zone, travel the world and spark more adventure into your life.